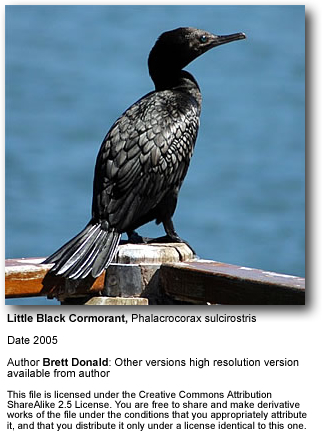 The Little Black Cormorant, Phalacrocorax sulcirostris, is a member of the cormorant family of seabirds. It is common in smaller rivers and lakes throughout most areas of Australia and northern New Zealand. It is around sixty centimetres long, and is all black with blue-green eyes.